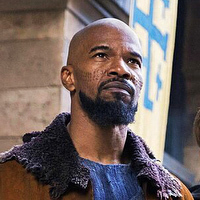 Jamie Foxx once again has shown his support for his sister, DeOndra Dixon during “Be Beautiful Be Yourself” fashion show. Jamie was among celebrities sharing the catwalk with models with Down syndrome. The event raised more than $2 million dollars to benefit the Global Down Syndrome Foundation. Click here to watch another interview from the red carpet. Beat Shazam pits teams of two against the clock and each other as they attempt to identify the biggest hit songs of all time. In the end, the team with the highest score will outlast the competition and go against Shazam, the world’s most popular song identification app, for the chance to win a cash prize. 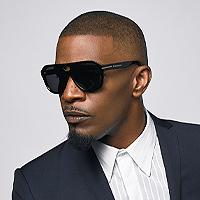 The designer eyewear brand that offers shades in all shapes and sizes for only $29.99. 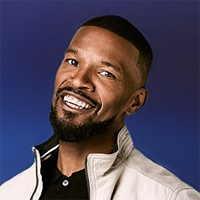 Jamie Foxx is one of the company’s brand partner. 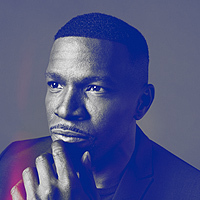 The eight-part digital series features Jamie Foxx interviewing Hollywood celebrities like Denzel Washington, Jeremy Renner, Sarah Silverman, Benicio del Toro.